I am repairing a 606 that dropped a prechamber. I am having it balanced due to boring it and new pistons. The shop doing the balancing was grinding some material off the crank for balance and slipped and hit one of the journals. 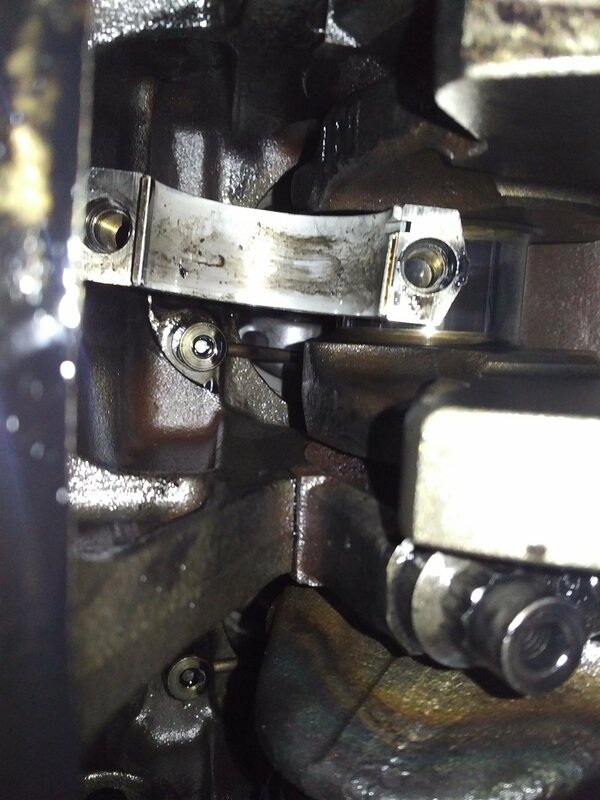 He want's to have the crank ground .010 under to repair it. I am not a fan of ground cranks, has anyone had a 606 ground, is it acceptable to do on 606 cranks? Repair can be done as low as u have journal sleeves to fit in. I just don't know how easy is to get a .10 repair cap in there. But i guess the ticker MB cap is around that value. If is a crack on a main just polish it... no need to repair the the journal that deep. 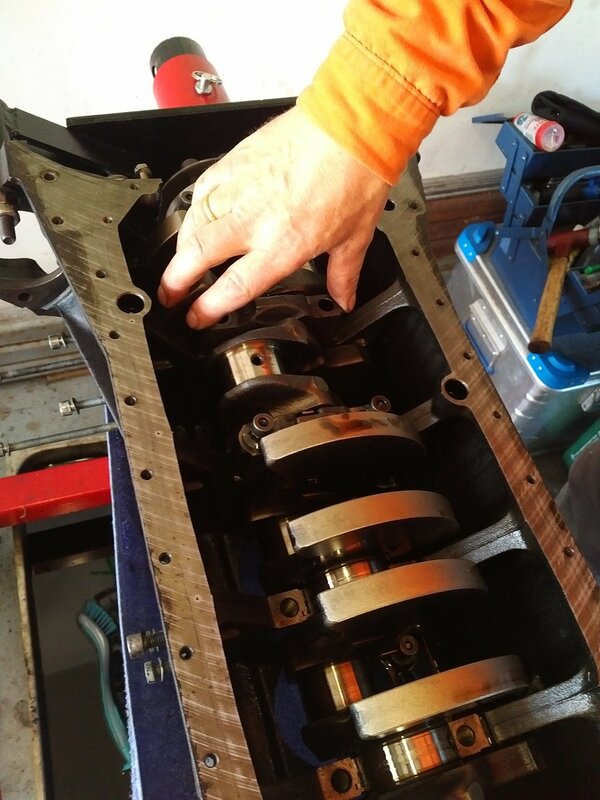 do you sure that you have to make something with the crankshaft? I have totally rebuild an OM606 turbo, and the crank, looks like new, i have messure it, it was like a new one. The engine has run minimum 400.000km. Full of fail. You don't rebalance an inline 6 crankshaft for the weight of the pistons. It's simply not possible. But as for journal grinding, yes you can grind journals on a crank that has not had a bearing spun on it. 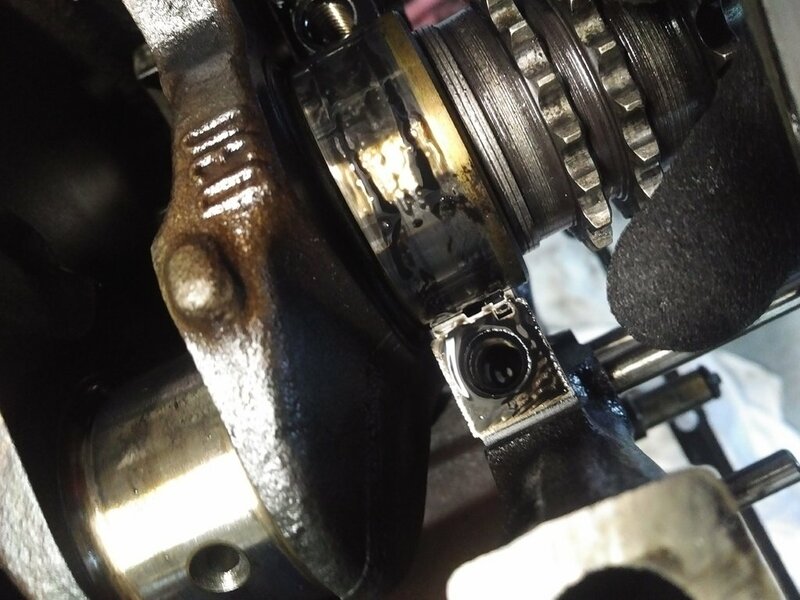 Crankshafts that have had a bearing overheat lose their heat treat. (01-27-2019, 07:49 AM)baldur Wrote: Full of fail. You don't rebalance an inline 6 crankshaft for the weight of the pistons. It's simply not possible. Were balancing the whole engine, pistons , crankshaft, rods and flywheel and balancer. I haven't seen the damage to the crank yet. He said he hit it with a grinder wheel taking some balance material off. I agree if it is a nick polish it and let the oil fill it in. you said -"You don't rebalance an inline 6 crankshaft for the weight of the pistons." are these guys below wrong? Inline 6 or inline 4 cranks have pistons moving up and down on one axis only. You cannot balance up and down motion by anything you do with the crankshaft. This isn't like a V8 engine where you have two axis of piston motion that are perpendicular, so these guys are right, but if you apply the same technique to an inline engine you are wrong. You are not balancing the up and down motion with the crank. Your are balancing the rotating mass of the crankshaft. The pistons are balanced by their weight as well as the rods big end and small end. It doesn't matter if it is an inline or opposed cylinder. Balancing is balancing. 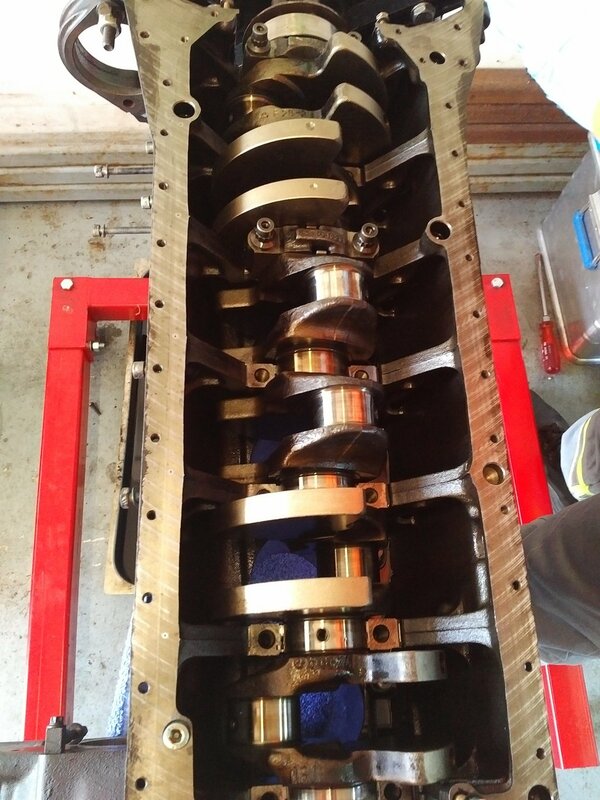 (01-27-2019, 03:14 PM)Turbo Wrote: you said -"You don't rebalance an inline 6 crankshaft for the weight of the pistons." Except there's an even number of evenly spaced rotating masses attached to the crank. 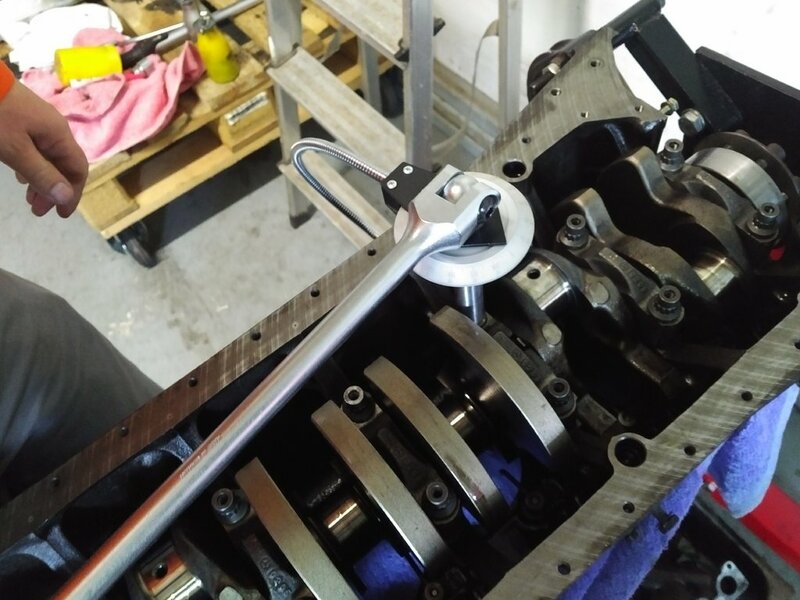 You do not bob weight balance a crank for an inline 6 engine, you balance the crank by itself and you balance the rods by themselves. 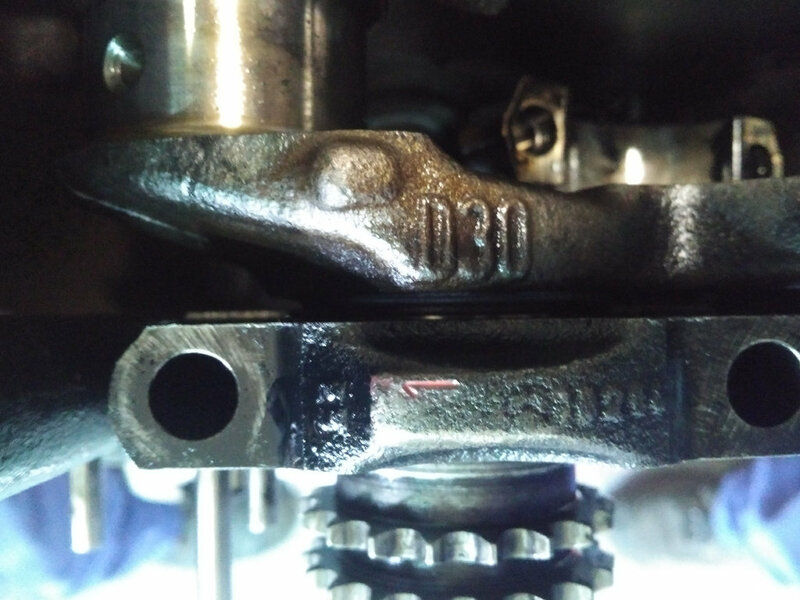 (01-27-2019, 05:54 PM)baldur Wrote: Inline 6 or inline 4 cranks have pistons moving up and down on one axis only. You cannot balance up and down motion by anything you do with the crankshaft. This isn't like a V8 engine where you have two axis of piston motion that are perpendicular, so these guys are right, but if you apply the same technique to an inline engine you are wrong. I think the balancer is quite aware of that. What is your point? (01-27-2019, 10:17 PM)zeeman Wrote: You are not balancing the up and down motion with the crank. Your are balancing the rotating mass of the crankshaft. The pistons are balanced by their weight as well as the rods big end and small end. It doesn't matter if it is an inline or opposed cylinder. Balancing is balancing. 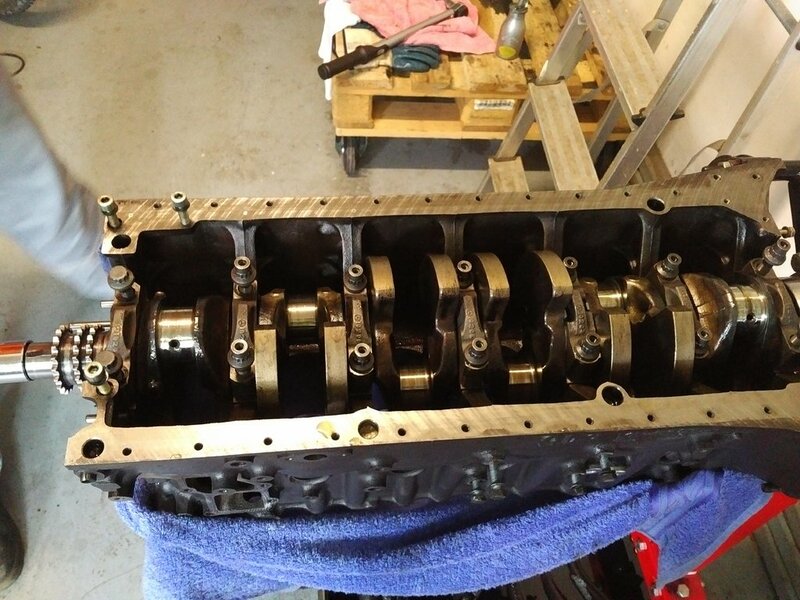 My point is that changing pistons or rods does not put an inline 6 crankshaft out of balance. (01-28-2019, 08:09 AM)baldur Wrote: Except there's an even number of evenly spaced rotating masses attached to the crank. You do not bob weight balance a crank for an inline 6 engine, you balance the crank by itself and you balance the rods by themselves. 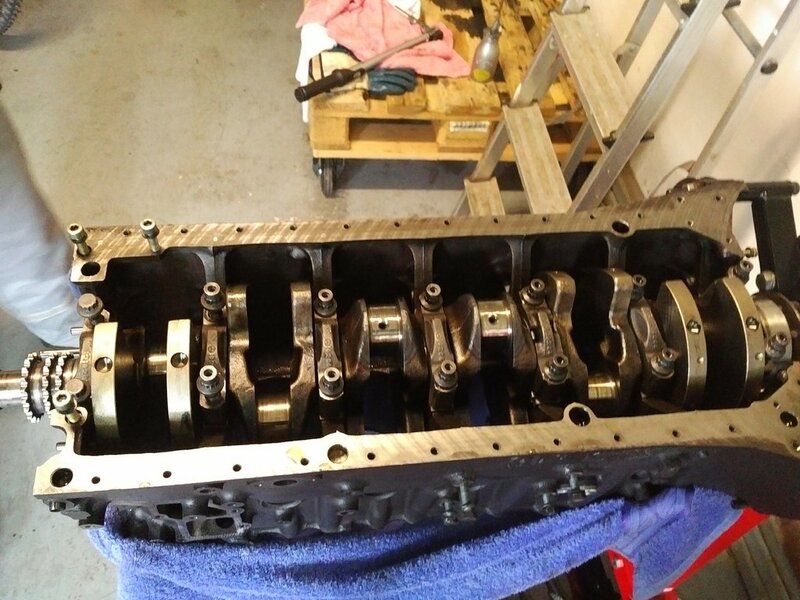 I guess I am not being clear, we are balancing the crank as well as the pistons which were replaced, as well as the rods to improve the factory balance. I dont understand it. Do you mean that, if i change a piston or a rod, i have to balance the Crankshaft. i also think so, if the piston has an other weigth. 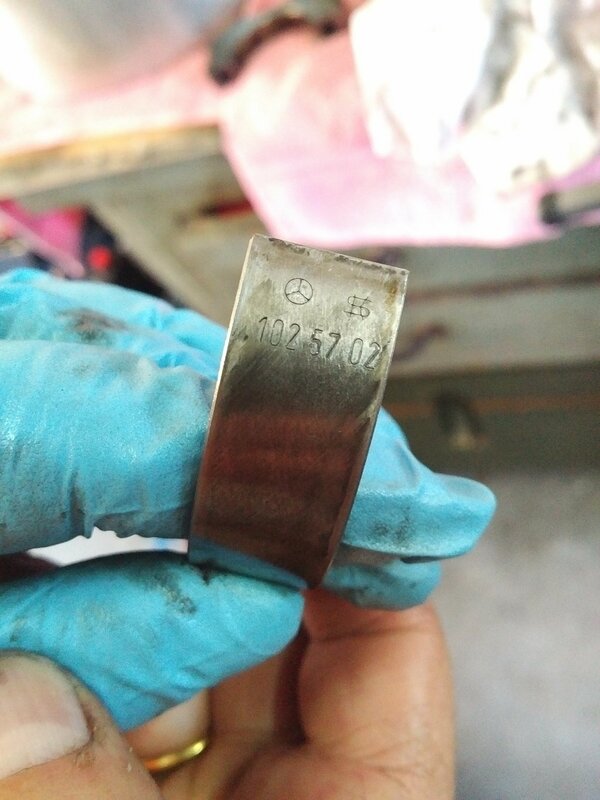 But i just have changed the the piston rings and the friction bearings. The Pistons get a new plating. The rest was in so good condition i dont want to change it. What baldur was saying is that inline 6 and 4 are inherently stable, lets say they are balanced engines as oposed to L3 L5 L7 V4 V6 V8 especially. So once crank is built it need dinamic balance of crank alone, then when u add rods and pistons this need to be iqual to maintain balance. On the other hand american style v6 and v8 without balancer shafts need to be balanced and very often a vibration damper is needed. Our 6 cyl are ok as long u respect piston and crank iqual weights. Hope you dont mind my input here. 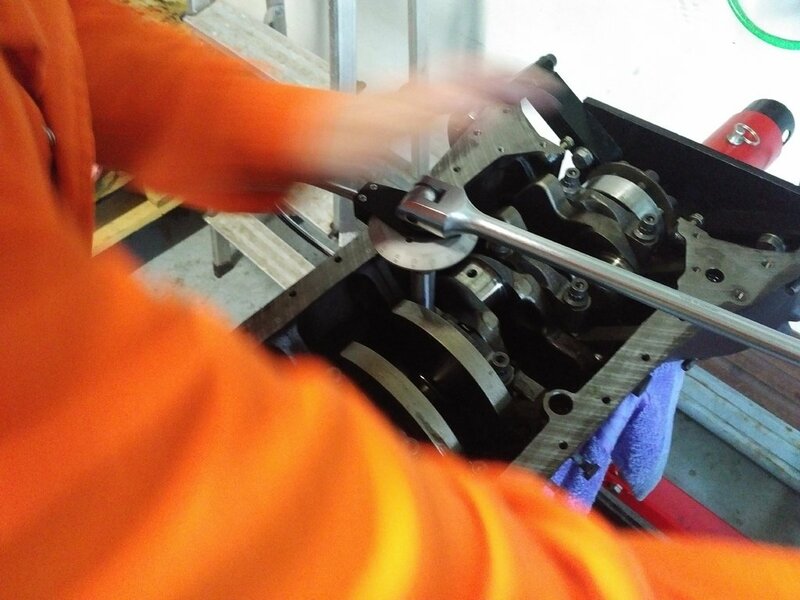 Crank is being grinded down and heat treated @ shop and 0.25mm oversized bearings will be installed. I bought 2 used rods in good condition. But after weighing them i found out that the 2 new ones are slightly lighter. Any idea how bad this is? Should i grind some of the heavier ones to make them more equal? Or reweigh them with the piston attached? Balancing is best done by a shop that specializes in balancing. There is a right and wrong way to do this. And there is equipment that a shop has that we don't normally have. The OM 617 engines I have had balanced have been way off from the factory. This goes true with the OM 606 engine as well, they are better then the OM 617 for balance but are still not as good as they could be. 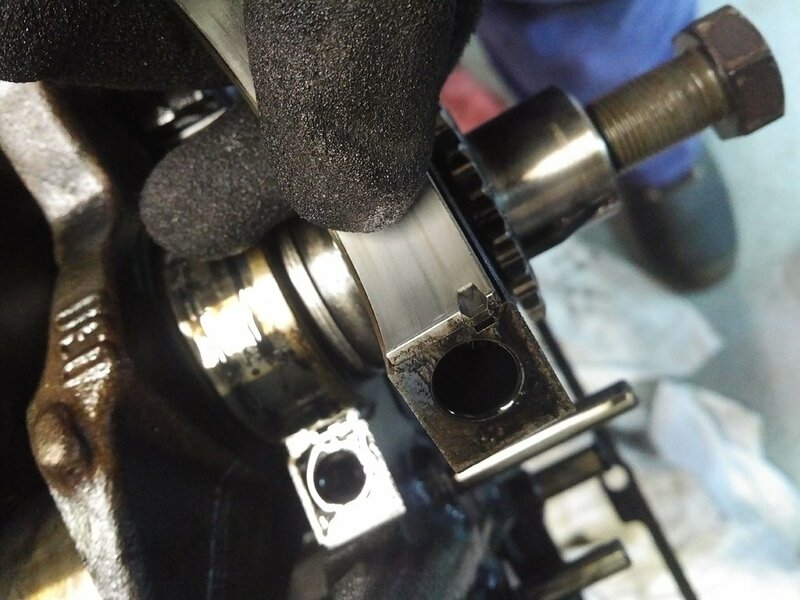 And no you don't have to balance the crankshaft if you are just replacing a piston or con rod, but have the set of whatever you are replacing matched balanced. My theory is you have it torn down this far why not balance the whole thing, balancing is fairly reasonable. My balancer tries to keep everything within a 1-2 grams if possible. I spoke to F-tune and they highly recommend balancing if you have a OM 606 torn down. One thing to consider is the balancing spects back in the 80's were set to what their machines could do then, we have much better equipment now to be more accurate. Current time: 04-25-2019, 04:51 PM Powered By MyBB, © 2002-2019 MyBB Group.